Welcome to Top Helicopter Games! You can play fun and addicting helicopter games here. Man's dream of flight - this has led mankind to create the most marvelous machines that can take us to the air. And one of the MOST versatile aircraft created by men - one that has served us in times of disaster and evacuation, trips to different places, is the HELICOPTER. Want to ride a helicopter? Well, not everybody has the cash or the time to ride one...BUT I'm sure everyone has the time to enjoy the fun brought by helicopters right on their computer! And TopHelicopterGames.com does exactly that. Showcasing nothing BUT the best and top helicopter games found on the Internet, the fun you will have here is almost comparable to flying! For the seasoned vets on top helicopter games, here's something for you: get to showcase your skills and post your scores in our global scoreboards! Compare how you stand against other lovers of helicopter games and give yourself a pat on the back when you finally make it to that number one spot. If you are a newcomer to this genre, don't worry! 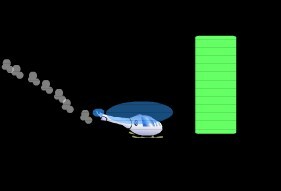 TopHelicopterGames.com also has something in store for you: our top 10 list of helicopter games online! Checking out that section is an excellent way to get you started. And each and every game on our top 10 list guarantees you hours of fun! If that's the type of games you are on the hunt, give Transporter a shot. Nah! This is NOT based from the movie with Jason Statham. Rather, Transporter is a helicopter game where you MUST rescue the innocent citizens from their untimely demise. Mind you, there are a lot obstacles along the way and guys who won't stop at anything to take you and your helicopter crashing down! Just as fun as saving people in real life (minus the anguish when you fail), Transporter is a game that almost anyone can enjoy! Destruction, Destruction, And MORE Destruction! If flying helicopter parts and explosions are your definitions of fun, you will find a lot of top helicopter games right here that cater to that! CopterCrasher, for one, is NOT your typical helicopter game. No saving people, no shooting down enemies - instead, crash to those helicopters that look EXACTLY like your air craft! Very unique and explosive indeed. If that's your cup of tea, then you will love GearCopter - it's simple and very easy to pick up. All you have to do is remember 2 things when playing GearCopter - (1) avoid all obstacles that you will encounter. Crashing against one means demise. BUT don't worry as that is easy to do - the up and down arrow keys should get the job done and you can easily see when an obstacle is coming across. (2) Collect as many gears as you can - after all, you are the GearCopter. Just don't make the mistake of crashing and stumbling all because of the gears! Not all of us can fly. And NOT all of us can ride a helicopter. BUT all of us can have fun RIGHT here at TopHelicopterGames.com!